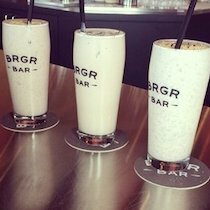 THE INSIDE SKINNY ON… BRGR Bar! 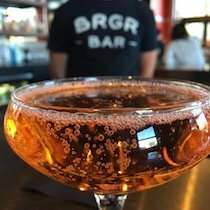 When was BRGR Bar established? 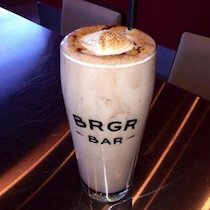 BRGR Bar opened in February 2014, but our idea for the restaurant preceded the opening date by a few years. 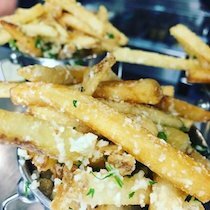 We saw an opportunity in downtown Portsmouth to fill a gourmet burger niche and felt extremely lucky to become a part of Portwalk Place in the early stages of its development. Can you tell us a little bit about Chef Phelps and her journey in the restaurant industry? 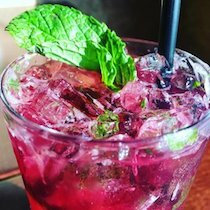 Phelps has been a huge part of the restaurant scene in Portsmouth for the last 15 years. 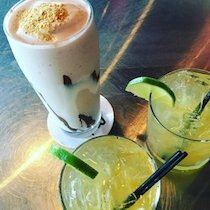 She opened the wildly successful Green Monkey, followed by the still popular Brazo, which she sold last year to focus on expanding the BRGR Bar concept. Years ago, she made a choice to forgo law school and decided culinary school was for her. She went to school in Vermont and also spent time living abroad. 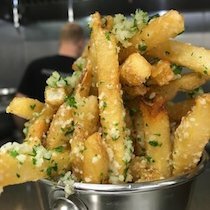 Phelps truly cares about the food and she has had her hand in every part of the business since day one. 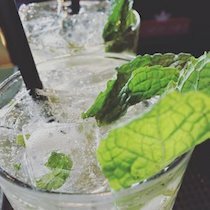 What do you like about being in Portwalk Place? We love the community feel in Portwalk Place; all of the restaurants, hotels and businesses are part of a very supportive Portwalk family. One of our favorite parts about Portwalk Place is that you can get almost everything you need on one block! 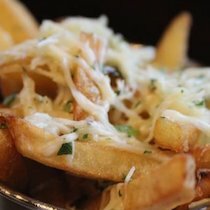 What is the most popular item on your menu? 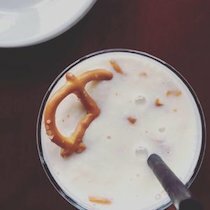 The most unique? 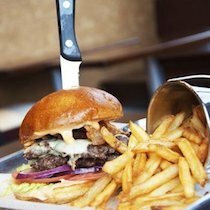 The most popular items on our menu are probably our namesake “BRGR” and the “Up in Smoke”. The “BRGR” is a play on a classic: two thin, grass-fed Maine Family Farms patties topped with American cheese, bacon, lettuce, tomato, onion, pickles, and our “secret sauce”. 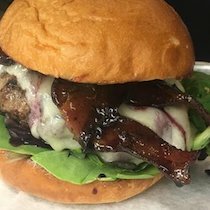 The “Up in Smoke” is our bison burger (sourced locally from Hackmatack Farm in South Berwick), topped with smoked gouda, grilled red onions, applewood smoked bacon, barbecue sauce, and lettuce and tomato. 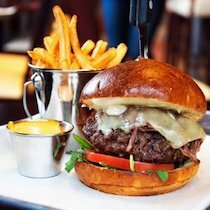 If one of our 14 signature burgers doesn’t appeal to you, there is always the option to build your own creation! 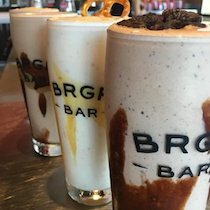 Customers can get pretty creative in their “Build your own BRGR” choices! 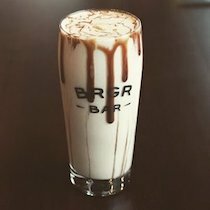 Any big plans for the for the future of BRGR Bar? 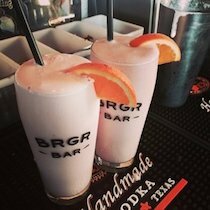 We are currently under construction at our second BRGR Bar location (11 Brown Street in Portland, Maine) and hope to open in the next few months! 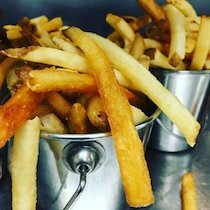 We also have plans to open a third location in Manchester, NH in late spring/early summer of 2017. 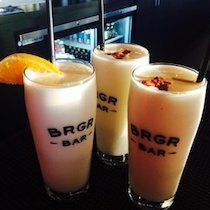 We are so excited to share BRGR Bar beyond Portsmouth. 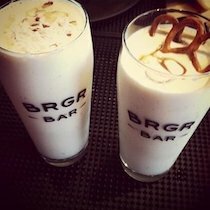 What do you most enjoy about living, working, and running BRGR Bar on the Seacoast? Portsmouth exudes the charm and feel of a small town with the amenities of a much larger city – a city we’re proud of and a community of which we’re grateful to be a part. 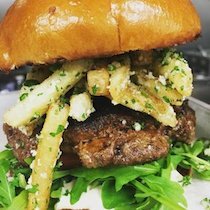 Watch out Portland; bourbon, beers, and burgers are heading your way! !